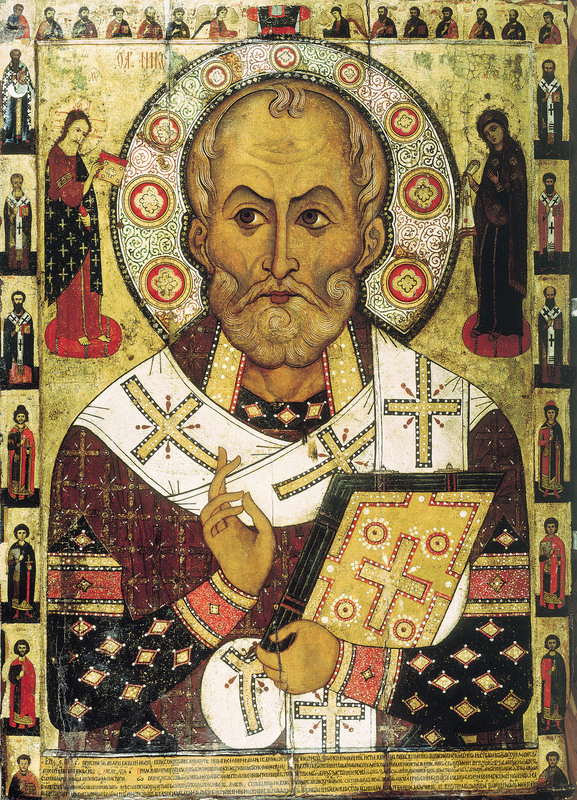 St. Nicholas, the inspiration for Santa Claus, is a lot different from today’s image of the fat, jolly, white-bearded guy who brings presents. The stories associated with the saint are darker, but the gifts attributed to him are much more consequential. His biography is more legend than fact. New Advent says the only historic certainty is that he was bishop of the city of Myra, Lycia (in modern-day Turkey) in the fourth century. Even the year of his death is uncertain. Lives of the Saints author Omer Englebert has his death year as 324, while New Advent says it was 345 or 352. His feast day is December 6. Yet the legends show why Nicholas, patron of sailors, children, and lots of other people, is beloved from the Netherlands to Russia to Sicily and many places in between. He is credited with many miracles, including bringing murdered boys back to life and thus converting the murderer. One of the best known legends of Nicholas is associated with generosity. A man could not marry off his three daughters because he was too poor to pay dowries. Desperate, the father was about to sell the girls into prostitution. This is where Nicholas changed the daughters’ lives. He threw a purse laden with gold into the man’s bedchamber through an open window, and days later, his eldest daughter was married. Soon, another bag of gold landed in the man’s room, and his second daughter was married. When it was time for Nicholas to throw in a bag of gold for the third daughter, the father saw him and fell at Nicholas’s feet, repentant and grateful. What is striking about this tale is that not only did Nicholas save the innocent, he provided the guilty with a means for redemption. When one writes historical fiction, one pitfall for anachronisms is the dinner table. If your story takes place in late eighth-century Europe, you can’t have your characters eating French fries. Potatoes are a New World food. Somewhat trickier, though, is portraying what the food looked like then. Take cabbage, for example, which many of us will eat for good luck in the new year. As a 21st century American, I took for granted that green cabbage always formed a head. Not so, according AgriLife Extension (affiliated with Texas A&M), which I found though a link on www.foodtimeline.org. “‘White’ (hard-heading) cabbages were apparently unknown until after the time of Charlemagne, who died A.D. 814,” says AgriLife. It would be another four centuries before a mention of a heading cabbage, this one by Albert of Cologne. So what did cabbages look like 1,200 years ago, the period in which I write? 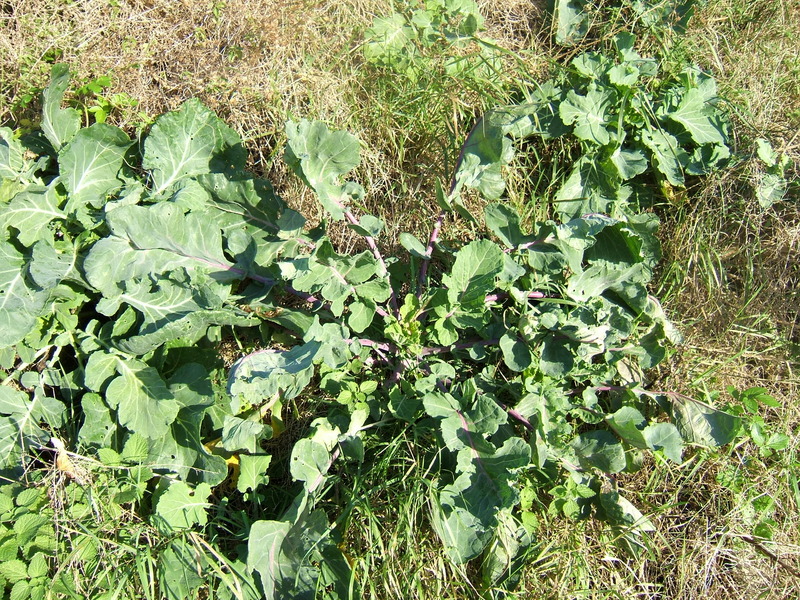 Probably a rosette like the wild cabbage pictured below. Food is a good way for an author to set time and place, but describing vegetables can be a challenge. To us, a cabbage forming a rosette of dark green, deeply lobed leaves resembling kale is unusual. Unless the characters are time travelers, to them it’s just cabbage. Unless it’s rotten or bitter, what is there to notice? In their world, everyone knows cabbage has dark green, deeply lobed leaves and grows in rosettes. Whenever politicians say they want to do away with regulations, we should turn to history and remind ourselves why they exist. I wish the 1907 explosion at Monongah, a coal mine in West Virginia, were seared in everyone’s imagination. According to Davitt McAteer, author of Monongah: The Tragic Story of the 1907 Monongah Mine Disaster, The Worst Industrial Accident in U.S. History, about 500 men and boys lost their lives Dec. 6, 1907. They left behind hundreds of widows and more than 1,000 orphans. Photos on the U.S. Mine Safety and Health Administration website show the suffering and chaos behind those appalling numbers. Perhaps the silver lining is that Congress created the Bureau of Mines, and the tragedy eventually led to the Federal Coal Mine Health and Safety Act of 1969, which McAteer helped to enact. But laws are only as good as the degree to which they are enforced. NPR recently aired a story about the aftermath of another mine disaster in West Virginia, this one just last year at Masse Energy’s Upper Big Branch. The failure to enforce regulations had devastating consequences. If Monongah were remembered, perhaps safety would truly trump profits, perhaps those 29 miners would still be alive.